If you've ever played a product that has been created by Rabcat, it will come as no surprise to learn that the company started life as a simple graphics design business. Just one look at the stellar design work that has gone in to the creation of their products is testament to this, as the quality is overflowing from each and every one of them. The company itself was formed in 2001, in Vienna, Austria, and the transition from graphics designer for gaming companies such as Walt Disney, through to an online gambling graphics company has been nothing short of successful for them. Since arriving in the world of iGaming, Rabcat has gone from strength to strength, pushing forward high quality products with intriguing and innovative game play that rivals even the very forerunners of the industry. And while their games portfolio may still be limited to a small number of products, the company made the conscious decision to focus on quality rather than quantity, dedicating themselves to several visually pleasing offerings, rather than a plethora of substandard games. The games developed by this provider, which do range from the obvious slots, through to video poker and table games, have a strong advantage in the gaming world, as they're able to be very easily integrated with other software platforms. That being the case, many people will probably have played Rabcat's games via the Quickfire platform developed by Microgaming, or the EdGE platform created by Playtech. Being developed in HTML5 and Flash allows them to wonderfully fit in with the rest, while still maintaining their own identity, thanks to the trademark graphics of the developer. Therefore, while games from Rabcat may be on several other software platforms, there's never a fear that they'll be lost in the mix of products from other providers. Also, because of the beautifully designed games that this company has created, their products have been incorporated into the offerings of several big name online casinos. Therefore, you'll find their offerings at locations like well-known casinos, Mr Green, and William Hill, amongst a plentiful selection of others. Players that are able to access a provider's games through such high profile channels only increases the recognition that a developer receives, and with such a nice collection of online casinos offering up games from this designer, Rabcat are surely making speedy strides towards top level status. Innovation. Innovation. Innovation. That's the key to not only surviving in the gaming world, but to progressing and being recognised. And this developer has innovation by the bucket-load. Take, for example, the game 'Castle Builder'. While the main game is a premium video slot from the developer, you're able to collect construction items along the way, which will assist you in building a castle, which can be seen to the left side of the reels. Or, how about 'Forsaken Kingdom', which puts you in the role of a brave knight who needs to gather the 12 shields of his compatriots for his round table. 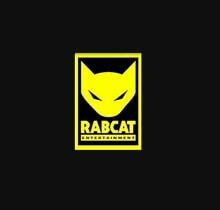 Rabcat doesn't just use a theme, they fully integrate it into a game, providing unique settings and thrilling game play. In addition to being able to access the games from this provider via your home computer, as mentioned, every product has been designed and created using either HTML5 or Flash. With this being the case, some of the products are also available via mobile devices, and therefore will cater to those gamers who enjoy playing while on the move. Furthermore, it's fairly often that games which have been adapted to use on such devices tend to lose some of their quality in the process. However, you can rest assured that the products from this provider play just as well on a tablet or smartphone as they do on a desktop computer. It's fairly often that you'll see games developers struggle with a route to take in the industry. Either they'll force several games out in a short period of time, or hold back and put more design efforts and precision into the products they're creating. Rabcat has, of course, chosen to take on the latter path, and it really works for them. Quantity is not everything in the industry, and when quality takes precedent over this, you've got yourself a company that knows how to appeal to an audience.